Why you keep falling of your diet? If you are tired of gaining weight each time you allow yourself to eat a treat, if you can’t even stomach the thought of starting one more diet, if you are frustrated by the fact that no matter how much you’re trying not to gain weight – you simply can’t succeed – then this article is for you. I will explain why you keep falling of your diet. You hold a donut in your hand and you die to eat it. It smells soo good! You feel frustration building in your mind. You don’t want to eat it. You should not eat it. The past week you tried so hard to follow your diet and you even went to gym as planned. The mere thought of wanting to eat this doughnut scratches your brains out. 1. You rely on diets. 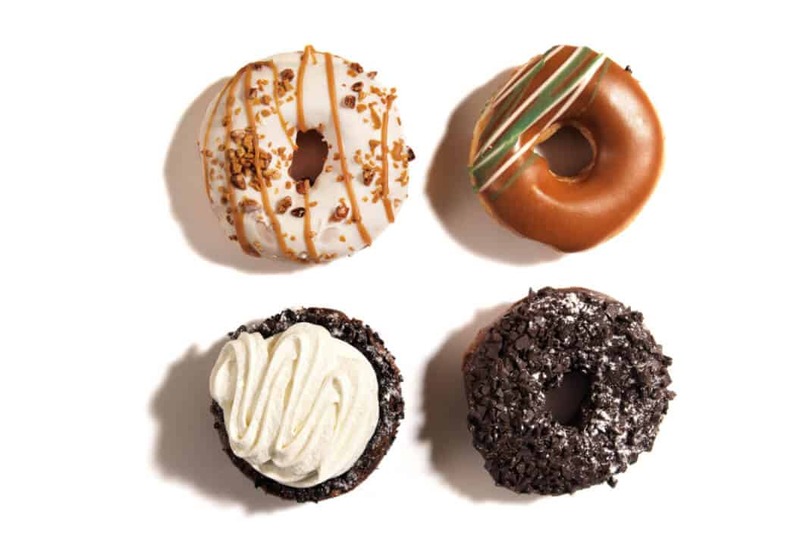 Each time you fall of your diet you promis to start again tomorrow – the diet, the sports or any other invented dieting f. word so that you can peacefully eat this donut. But to even mental this thought you rely on diets. Diets are here to save the day when you become emotionally hijacked, and you asume starting one again as the price you’ll pay tomorrow for satisfying your crave today. 2. Your amygdala (survival nervous center) is overstimulated by the stress in your life. Amygdala is essential for decoding emotions, especially those recognized by the hippocampus as threats. It is highly connected with all autonomic structures meant to keep us alive. And one of the way it adapts us to stress is by commanding beta-endorphins’ secretion – natural anestesics secreted by our neurons to dull pain. Sadly though, the side effect is a decreased ability to perceive pleasure. 3. Nucleus accumbens (pleasure nervous center) is anesthetized both by stress released beta-endorphins and by intermittent access to dopamine triggers. The reward value of foods you refuse to eat despite wanting them so bad increases as your ability to perceive pleasure decreases with each overeating episode. And we compensate a decreased ability to perceive pleasure with an increased consumption of the very food we deny ourselves. 4. Papez circuit (the main mechanism that connects emotional expression with memory) expects you to feel the same amount of pleasure you felt when you ate other donuts. Because of this circuit, each time you will eat foods that impacts your nucleus accumbens (in English: “that you like”) you will unconsciously compare the pleasure you feel today with the pleasure you once felt when eating the same foods. But because of stress and intermittent access to those foods, your ability to perceive pleasure will be naturally diminished. Thus neurophysiologically, the more you will resist the stronger the urge to it that donut and the more donuts you will eat. And yes you are right: if you just eat this donut you might get a bit fatter simply because anything we eat regardless of physiological hunger – either the healthiest fruit or the unhealthiest donut – impacts our metabolism and might deregulate appetite hormones secretion indirectly (through deregulating incretins) or directly through insulin resistance (which is among the main obesity causes, along with dysbiosis, dyslipidemia, and leptin resistance). Thus, if resisting to eat “fattening” foods is potentially more fattening than actually eating them, how can you eat them without gaining fat? 1. To eat anything you want you must first associate eating with physiological hunger. And to be able to wait enough to only eat when hungry you must hold the promise that you’ll satisfy your cravings when hungry. It is said that we make our choices either out of fear, or out of trust. And while rulled by stress and deprivation your choice comes from your fear hyjacked amygdala, not by your concious brain. Under stress, the difference between eating what you want when hungry and eating what you want regardless of hunger being biologically similar with the difference between smoothly stopping your car at the red light or abruptly stopping it into a roadside tree. 2. No matter how good that food is, you must respect satiety. And you can’t really perceive satiety if your mind is on Facebook. To avoid weight gain you must respect satiety, and to perceive satiety clues you must savour your food without doing other things while eating. 3. Even if it’s the best donut ever and you just want to eat it, it should come after eating proteins and a salad. Yes I know this kind’av ruins the whole concept of rebellious eating, but this is the whole point: overeating comes as a mutiny. So learn to transform cravings into everyday pleasures by taking rebellion out of satisfying them. The fibres in that salad will do some damage control in your gut, while the proteins will do some damage control in your blood. And yes you read that right: to eat donuts or cake or brownies or whatever you like, you should combine them with enough proteins. And if you are a fan of separatists diets and eat proteins at separate meals than carbohydrates – because supposedly proteins take X time and Y enzymes to digest and carbs Z and Y – then simply take a piece of steak, some baked potato, a peach or an apple, and a tomato salad and put them in a blender. Press the button, wait, and then look at the perfect puree – perfectly similar with the one blended by your very stomach that retropulsivly pushes away from your pilor back to more bleanding any morcel of food bigger than 2 mm. Do you actually think that your pancreas enzymes will have any issue digesting any part of that puree? Or that the pacreatic enzymes will say – Geez, this is a carb, I must first digest proteins? Pancreas secretes peptidases for proteins barely touched by gastric peptidases, amylases for uncooked amidin – also barely touched until your gut because salivary amylase only begins carbohydrates digestion – and lipases for fats that, unless you’re a newborn, weren’t touched either until your gut. And pancreatic enzymes are so efficient that they can even “digest” the pancreas cells (in pathologic situations of course). This confusion regarding sepparating carbohydrates and proteins within the same meal or eating fruits between meals is completely missing from your pancreas able to properly digest mixed meals and to skyrocket insulin secretion when fed only with carbs for some magical unbiological reasons. We all know thin people that can eat huge amounts of foods without gaining one gram of fat, so maybe the concept of eating “more” is less fattenting than eating “wrong”. Each time you just have a snack (which actually is just another fancy way of sneaking in some food in the absence of hunger) you potentially gain more fat than when eating a complete meal when hungry. When eating less without hunger you gain more weight than when eating more when hungry. And the bloating blamed on eating fruits with meals does not happen in your stomach but in your colon and it does not happen because you ate fruits with your meal or because fruits need other digestion times or enzymes for digestion than proteins food sources or other vegetables. Bloating has a million causes: maybe you eat too much raw food, maybe this is the way you somatize stress because you overstimulated amygdala impacted your pilor and intestinal motility in such a way that too much undigested food particles get to your colon. Or maybe you have an irritable bowel syndrome, also masivly aggravated by stress. As long as you do not understand how your body and mind play you obese, you’ll be a leaf in the weight loss industry’s wind. This confusion is the basis of this industry profits. Today 1.5 billion people are overweight, 1 billion are chronic dieters and 0.5 billion are obese. And the weight loss industry expects these numbers to double. Today 40 million children are obese and the weight loss industry expects this number to soon grow to 70 million. There is no confusion, we know digestive system physiology and eating behavior neurophysiology since long ago. This is about money: according to an analysis made by businesswire.com – Weight Management Market by Services, Supplements, Diet, Equipment and Devices: Global Analysis and Forecast 2007-2015 – the weight loss industry profits was 385.1 billion dolars in 2010 and they expect a 650.9 billion dolars in 2015. Prev:Why you feel hungry when you are on a diet? Next:Is the gluten-free diet beneficial for runners? Is the gluten-free diet beneficial for runners?